Home ICC T20 World Cup India & England favourites in 2019 World Cup :- ICC CEO David Richardson. 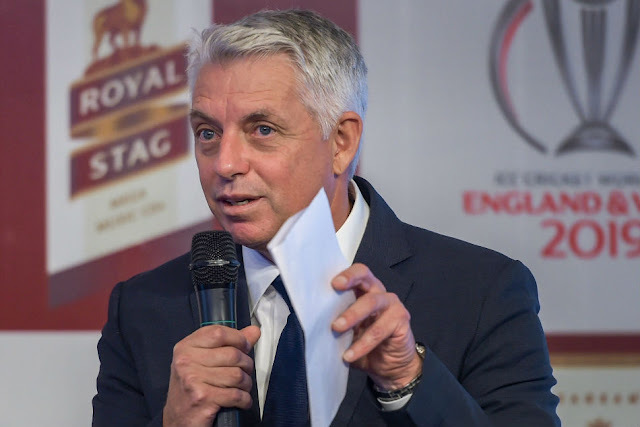 India & England favourites in 2019 World Cup :- ICC CEO David Richardson. It is extremely difficult to pick a winner. Obviously, India is playing really well. England has got their best ODI team in many years. South Africa has also performed. But the progress the Indian team has made in the recent years, it will be exceptionally difficult to beat them, the International Cricket Council CEO told reporters here. On being asked about the recently released ICC T20 World Cup groups, where arch-rivals India and Pakistan are placed in different groups, Richardson said: "We have arranged the groups in a way that has credibility and is based on the rankings. We have several techniques one of them is called the Snake Method. Teams are placed according to their ranks and play each other accordingly. In this case, Pakistan were number one in the rankings in their group and India number two. Obviously, everyone likes to see them play but to maintain the integrity and credibility of the groups we found no credible way of putting them in the same group.